Vyne Education is combining efforts with PESI Rehab to provide you with the same great education in one collective library. You have been redirected to PESI Rehab to offer you a single website experience featuring the training you need and want from today’s leading experts. If you have already created a PESI Account, you are all set and all of your previously purchased VYNE content will be linked in your PESI Account. If not, you can login with your VYNE Account credentials as this has been transferred over to create a PESI Account for you. This is the best seminar on challenging geriatric behaviors that you will ever attend - GUARANTEED! Join Steven Atkinson, nationally-known expert, author and speaker on geriatrics, for a high-energy, dynamic seminar filled with interesting case studies, insightful discussions and interactive learning. You will leave this seminar with practical techniques that you can apply the next day! If older adults are routinely under your care, minimize your risk of escalating the problems associated with troublesome, often irrational behavior by attending this program. Gain valuable insights into the causes of challenging geriatric behaviors and learn innovative and practical intervention strategies to improve the care you provide. Develop strategies to manage difficult behaviors in seniors who have an altered perception of reality. Identify the signs and symptoms of Alzheimer's Disease and other dementias. Discuss current research on the prevention of Alzheimer's disease, as well as lifestyle factors to slow the disease progression. Summarize the safety issues associated with geriatric patients who drive and identify individuals who pose a safety threat. Explain why wandering occurs in individuals with cognitive impairment and develop strategies to minimize or redirect this behavior. Describe the environmental and behavioral causes of agitation. Differentiate between appropriate and inappropriate sexual behaviors in individuals with dementia. Distinguish between normal sleeping patterns and bedtime issues which could lead to increased health problems. Analyze the physical and psychological changes that affect an elder's desire and ability to eat including the changes in nutritional requirements. Identify the signs of caregiver stress and develop intervention strategies to prevent burnout. Is wandering a bad thing? Steven Atkinson, PA-C, MS, is a Board-Certified Physician Assistant specializing in Geriatric Internal Medicine. He practices medicine in the greater Minneapolis area. In addition to his private practice, he has been on the faculty at the University of Utah since 1994 and has been involved in medicine for over 30 years. Steven is the co-founder of Twin Cities Physicians, which serves older adults in nearly all levels of their care. 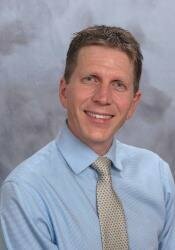 He has presented nationally for over 15 years, primarily speaking bout geriatric-related syndromes. Steven is a published author and also sits on several boards whose purpose is to elevate the level of care in medicine for the patients they serve. Steven has been described as a “dynamic” educator and one of the most engaging presenters around. Don’t miss him! Financial: Steven Atkinson is the founder and co-owner of Twin Cities Physicians; and owner of Mindful Geriatrics, LLC. He is an Adjunct Faculty at the University of Utah. Mr. Atkinson receives royalties as an author for PESI Publishing and Media. He receives a speaking honorarium from PESI, Inc.
Nonfinancial: Steven Atkinson has no relevant nonfinancial relationship to disclose. PESI, Inc. PE001, is a Continuing Professional Education (CPE) Accredited Provider with the Commission on Dietetic Registration (CDR) from July 1, 2018 through June 30, 2019. Registered dietitians (RDs) and dietetic technicians, registered (DTRs) will receive 6.0 continuing professional education units (CPEUs) for completion of this program/materials. Continuing Professional Education Provider Accreditation does not constitute endorsement by CDR of a provider, program, or materials. This program/material is designated as LEVEL 2. IOWA NURSES: PESI, Inc. is an approved provider by the Iowa Board of Nursing. Provider #: 346. Full attendance at this activity qualifies for 6.3 contact hours. Full attendance in the activity is required; no partial contact hours will be issued for partial attendance. These contact hours are used for your license renewal. You will need to provide your license number to PESI. PESI must have this number on file in order for your hours to be valid. This program offers 60 instructional minutes of pharmacology content which is designed to qualify for 1.0 contact hours toward your pharmacology requirement to receive credit. It is your responsibility to submit your certificate of successful completion and a copy of the seminar brochure to your licensing board. This educational offering has been reviewed by the National Continuing Education Review Service (NCERS) of the National Association of Long Term Care Administrator Boards (NAB) and approved for 6.25 clock hours and 6.25 participant hours. Full attendance is required; no partial credits will be offered for partial attendance. This activity consists of 6.25 clock hours of instruction that is applicable for physical therapists. CE requirements for physical therapists vary per state/jurisdiction. Please retain the certificate of completion that you receive and use as proof of completion when required.